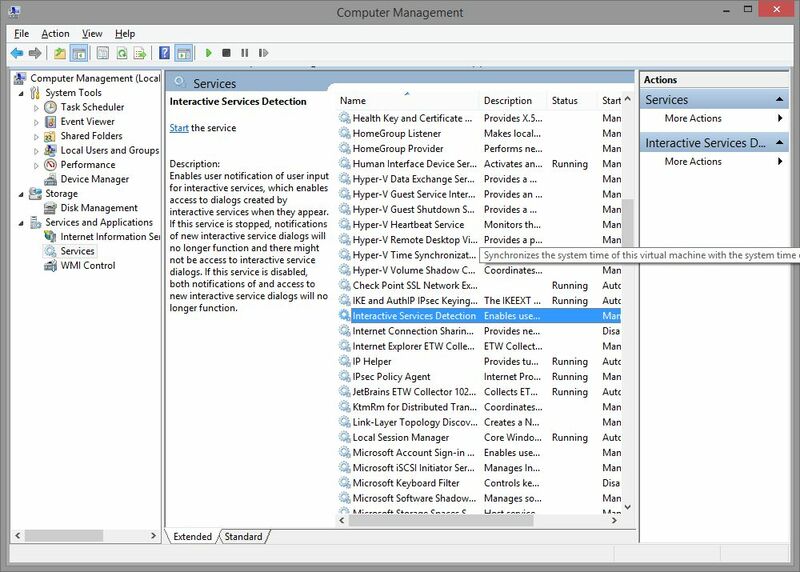 Digital signature using Microsoft CryptoAPI from windows service? Is it possible to use win service for this functionality? You might want to enable Interactive Services Detection (service name is UI0Detect). This service will enable you to open dialog windows in special session 0. It works since Vista. A window will pop up to inform you (currently logged on user) that a service needs desktop interaction (i.e. input PIN for access to private key). The method you are using pops up a dialog to allow you to view and select certificates to use. A service cannot usually have a user interface (since they run outside of an interactive user session). I believe you can have interactive services but I wouldn't recommend it in this case. Use another way of selecting the certificate, perhaps based on the thumbprint of the required certificate e.g. How to get X509Certificate from certificate store and generate xml signature data? Not the answer you're looking for? Browse other questions tagged .net windows-services digital-signature smartcard cryptoapi or ask your own question. How to get X509Certificate from certificate store and generate xml signature data? Install a Windows service using a Windows command prompt?